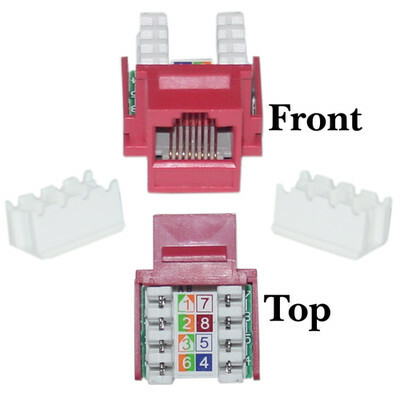 More Product InfoFinding the right keystone for your 110 type punch down to Cat5e connections can be difficult, but not when you shop with CableWholesale. We're excited to introduce our Red Cat5e Keystone, a superior product that exceeds EIA/TIA-568-C standards, and is compatible with our other keystone products. Not only can this be used in any network environment, but it makes terminating network cable runs incredibly easy. It is an Unshielded Twisted Pair that comes with copper conductors and gold connectors, as well as thermoplastic housing. 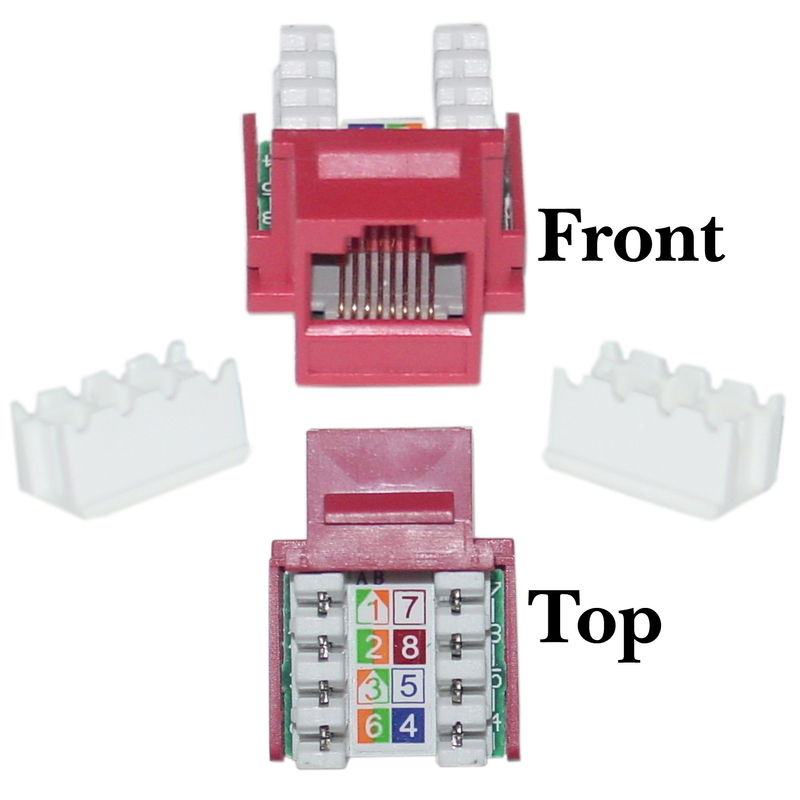 If you have any questions about what this Red Cat5e Keystone can do for you, contact CableWholesale today! Works great for our gigabit network, can't beat the price.